I Almost Didn’t Start – But I’m Glad I Did: Why You Shouldn’t Live in Fear – YOUNG MOMMY B.A. I started my blog… with a bit of fear. Yes, I was hesitant to put it up for some reasons (which I eventually realized, are shallow). Allow me to explain these further. An average post would take around 1 – 2 hours for me to finish. Some might even take longer – depending on the content and my mood. I thought, is it even worth it? Why would I spend a couple of hours for a post which I am unsure if other people will read? But eventually after writing few articles, I realized I am not just doing it for other people, more so I am doing it for myself. It’s my form of meditation. It is my stress – reliever. It’s my break from all the work I’m doing. If you are regularly visiting my blog, you might notice that I try to bombard this with all positive thoughts. That’s because I want this as my source of good vibes most especially if I’m down. I do have the tendency to back read, you know. Will I or will I not continue? Image from PIXABAY. Admittedly, I’m not really a grammar freak. I don’t want to be, and here’s why. Filipinos tend to be very particular with grammar (not that it is a bad thing). However, there are few who would go as far as judging a person because of their not – so good – grammar. That’s one of the reasons why it would take a ton of guts to write – let alone write and publish your work on a public domain. Sad to say, even the people with the best ideas are being hindered because of this mentality – ‘the better your grammar, the higher IQ you possess’. I can’t say that I always have the best ideas, but I was scared that other people will judge me just because I am not the best writer out there. But then again, it is only with these criticisms that I could improve my skill. It is only when I listen to those who are better than me that I will be able to be at my best. And what about if a criticism seems to have gone overboard? Come on! It’s easy to identify constructive criticisms from those that are – let’s say – destructive. You just try to filter those that can help you and shoo those that are almost non – sense. So on my 26th birthday- I typed. I published. And it felt great! To date, I’ve been receiving a number of emails and private messages. Luckily, I have not received a ‘hate mail’. Or just in case I will in the future, I’d let you know and I will share how to deal with it. Going back, these sweet words are so heart – warming. These messages inspire me to write more posts. It makes me feel that I am doing something valuable for the society. 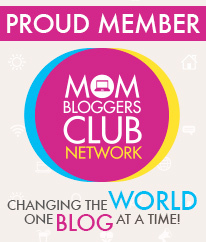 Surprisingly, it is not only young moms who read my blog. There are dads, single ladies and gents among many others. My last words for tonight? If you want to do something and you sincerely believe that it is your passion, don’t let fear win you over. There will always be down times, there will always be doubts. And as hurtful as it is, there will always be some mouths that will… ‘bad – mouth’ your work. But then again, remember that you are not weak to back down just because of few bad remarks. It is only when you do what you love that you experience real bliss. You will eventually find your worth and who knows, inspire more people to live a life out of passion. I guess that’s it for tonight. I have to work now. Until my next post!